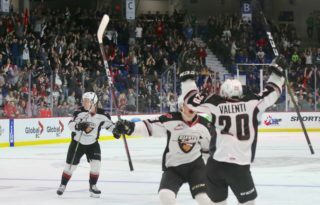 For the sixth time in their history the Vancouver Giants (40-14-2-2) have clinched a B.C. Division championship banner. 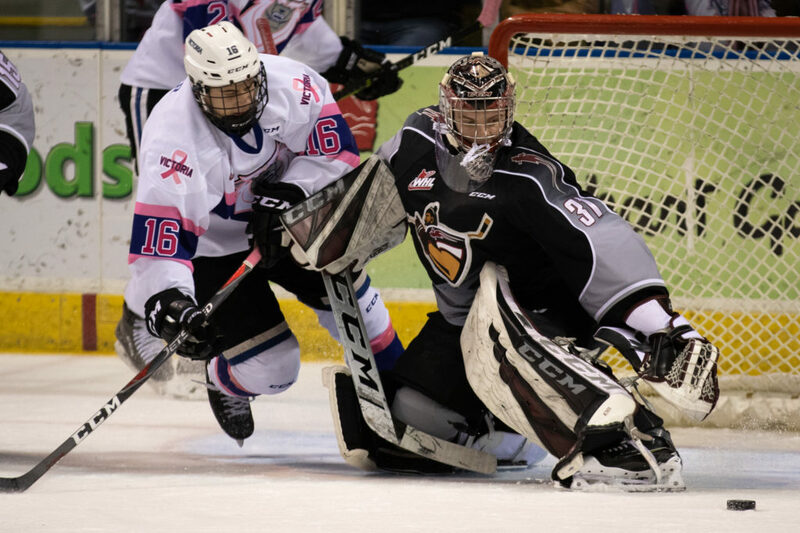 Saturday night in front of 7000-plus in Victoria the Vancouver Giants earned a hard-fought single point in a 5-4 shootout loss to the Victoria Royals (31-25-1-2). The Giants erased two separate third period deficits to help secure their first division crown since 2009-10. Bowen Byram paced the Giants with three assists while Milos Roman, Jadon Joseph, Davis Koch and Jared Dmytriw supplied goals. 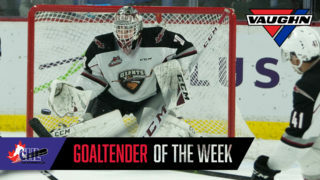 Trent Miner stopped 20 of the 24 shots he faced in net for the Giants. Griffen Outhouse was marvelous for the Royals stopping 38 of 42 shots faced. Phillip Schultz ended the game in Round 7 of the shootout for Victoria. VAN – 8:48 into the first period the Giants opened the scoring when Milos Roman (23) wired home a Bowen Byram feed from inside the left-wing circle on the power play. For Roman it was his 15th power play goal of the season. VIC – Brandon Cutler evened the score at 2:56 when he took a pass at the Giants blueline, split through the defense and wired a high shot past Trent Miner for his 11th. VIC – 45 seconds later Kody McDonald (18) extended Victoria’s lead to 2-1 when he deflected home a Scott Walford point shot home. VIC – 3:22 into the third, Dino Kambeitz (9) extended Victoria’s lead to 3-1 off a shorthanded wrap-around. His goal was unassisted. VAN – At 10:49 the Giants got back within one when Jadon Joseph snuck home his 17th from in close along the right-wing. Bowen Byram and Alex Kannok Leipert both drew assists. VAN – At 15:51 the G-Men tied the game at 3-3 when Davis Koch (23) whacked home a Jadon Joseph rebound from in close. Jadon Joseph and Seth Bafaro assisted on the goal. VIC – One minute and 30 seconds later Logan Doust answered for Victoria when he one-timed his sixth of the season past a sprawled Trent Miner. Tanner Sidaway forced a miscue in front of the Giants net before spinning around and finding Doust along the left-wing. VAN – Jared Dmytriw answered for the Giants at 19:17 with their net empty when he tipped home his 15th off a back-door feed from Jadon Joseph. Bowen Byram added his third assist of the night. Both goaltenders were sensational. 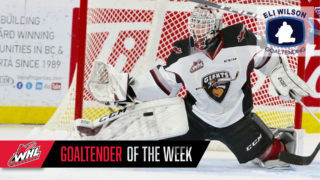 Griffen Outhouse made three highlight reel saves for Victoria while Trent Miner countered with two point-blank stops of his own off Brandon Cutler and Kody McDonald. Up Next: A rematch with the Victoria Royals tomorrow afternoon at 3:05 PM. The Giants are now 5-2-1-1 against Victoria in nine meetings so far this season. In four games in Victoria the G-Men are 1-1-1-1. Since January 6, the Giants are 17-2-0-2. The Giants have not lost against a B.C. Division team in regulation since December 15th – A span of 14 games. The Giants are 12-0-0-2 in that span. The Giants are now four points back of the Everett Silvertips for first in the Western Conference standings with two games still in hand. 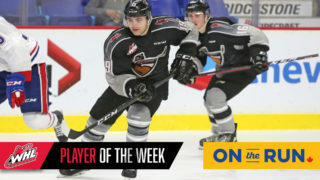 Milos Roman’s 15 power play goals puts him into a tie for third place in the WHL in that category.